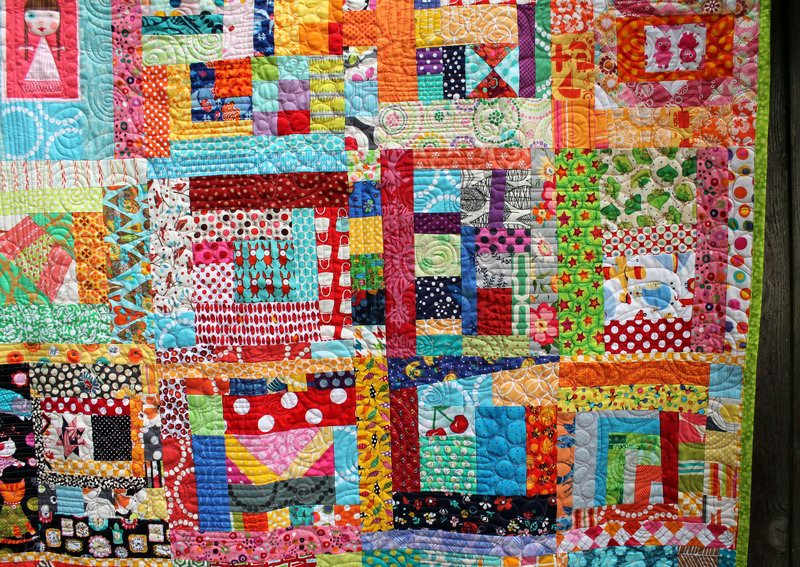 Quilts using lots of different bits of fabric. 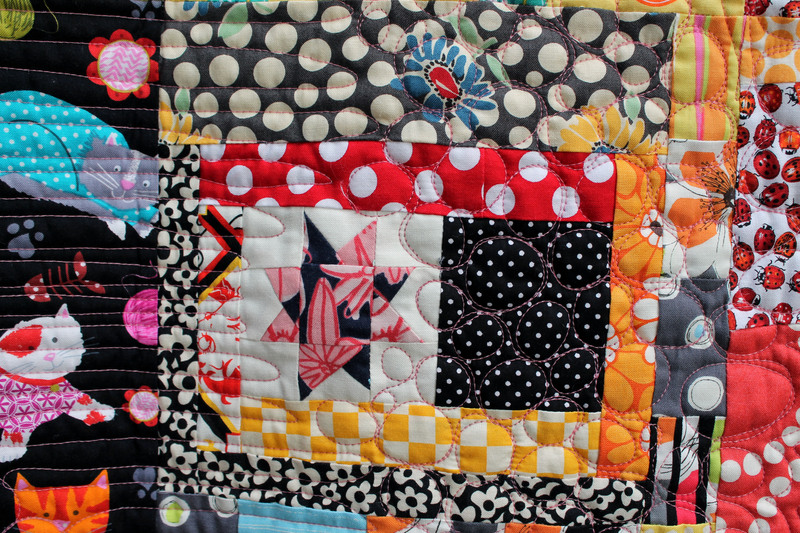 In the continuing showcase of Portland Modern Quilt Guild’s charity quilts, today’s quilt is Kelly’s Quilt. 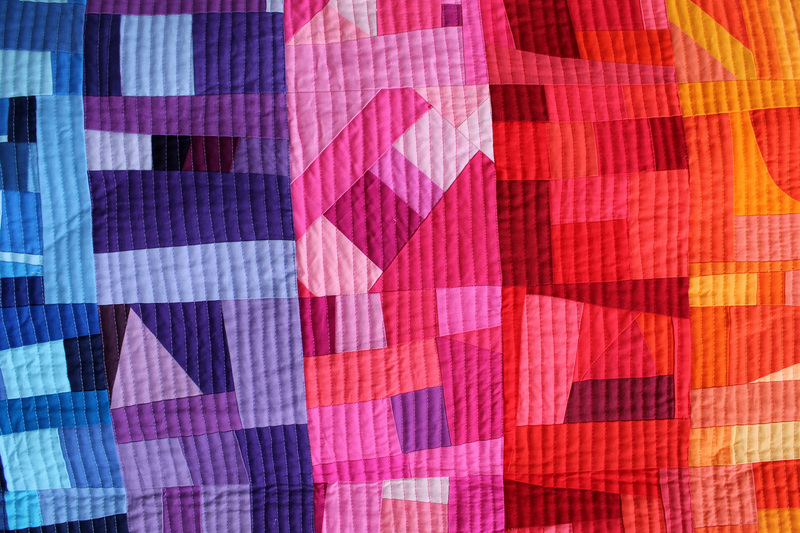 This bright, fun, scrappy improv quilt was made at our Guild’s March Charity Sew Day. 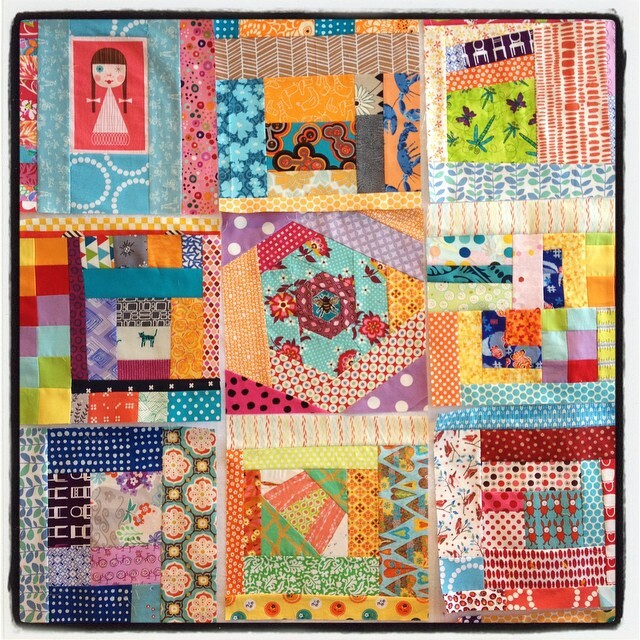 During the course of the day the group took a huge box of bright, kid friendly scraps and a handful of stray orphan blocks cut them up and turned it all into a pile of 12 inch blocks. Joy, one of our members commented that the girl in this block looked liked one of my fellow Board members from last year, Kelly. 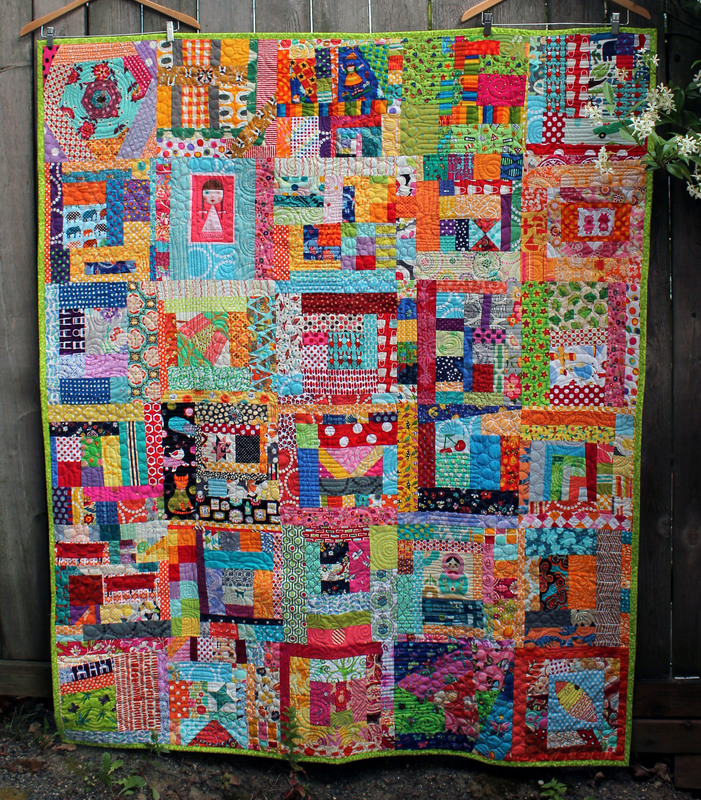 Everyone agreed and the quilt was then referred to all day as Kelly’s quilt. 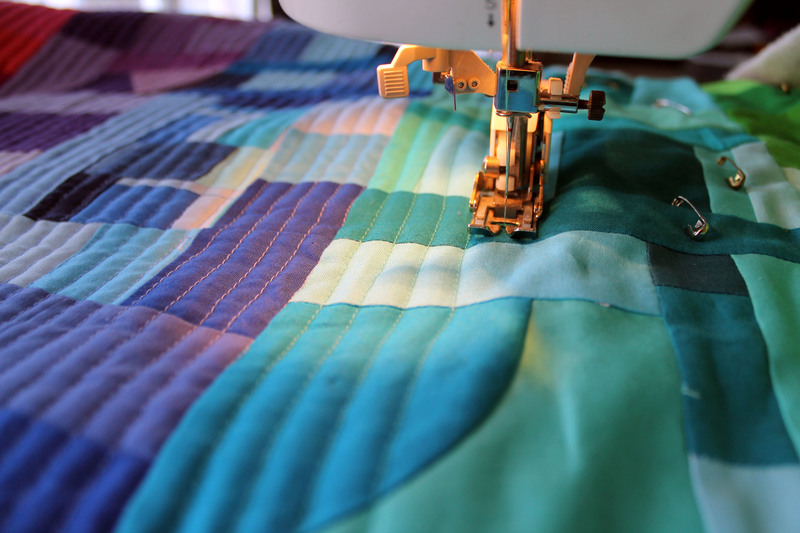 When it came time to quilting this top, it fell, of course to none other than its name sake, Kelly Cole of Blue Bird Sews. 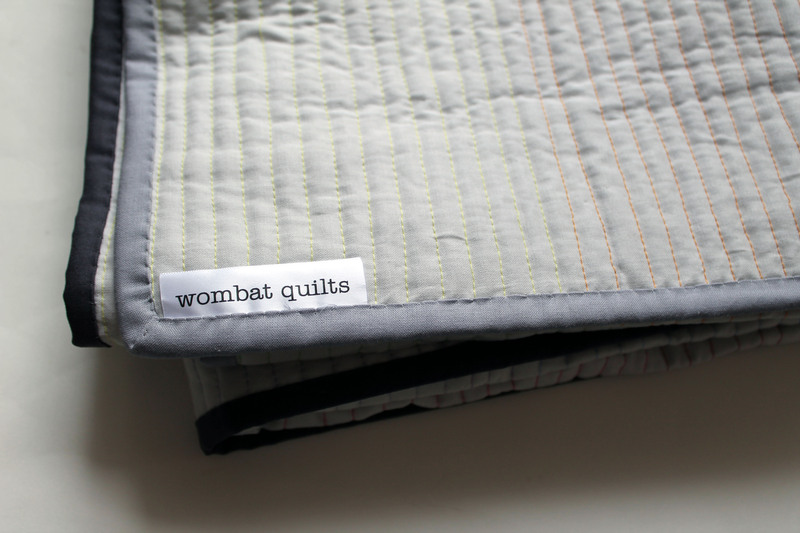 As soon as she knew the quilt was named after her, Kelly felt she had to quilt it. 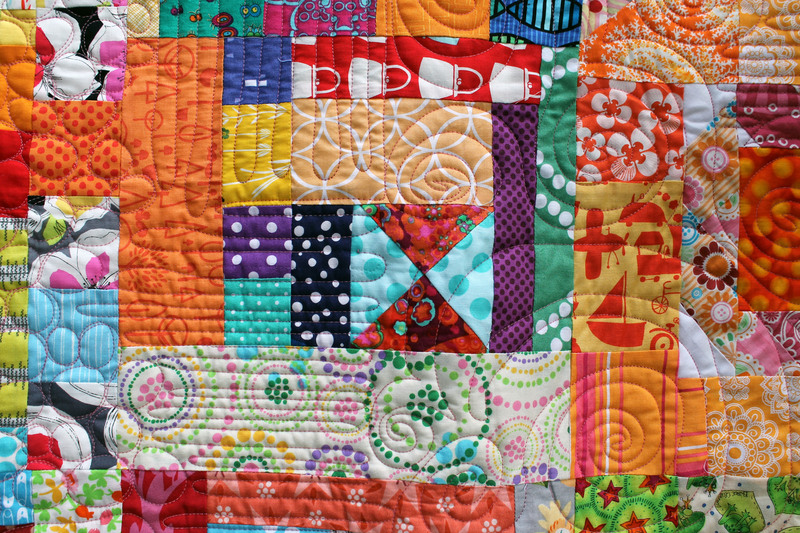 The end result is one of the most fun games of eye spy ever in a quilt. 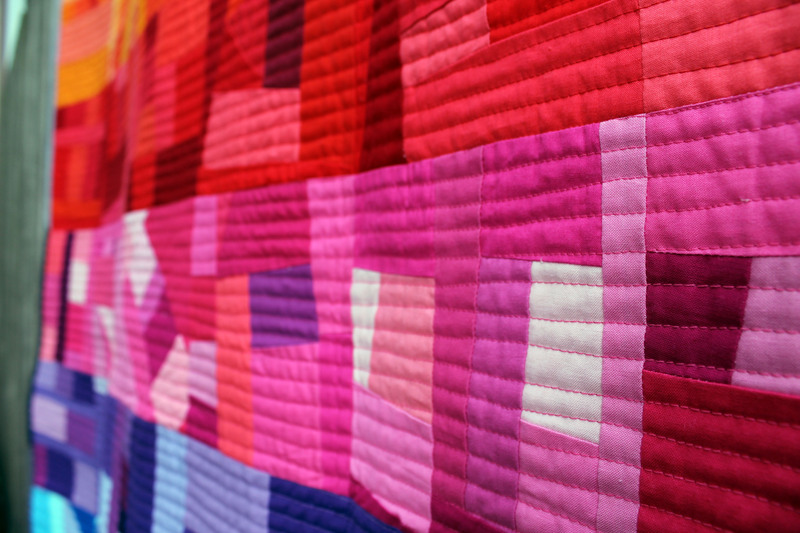 I love the riot of colour and texture of this quilt. You know it is going to make some kid extremely happy. 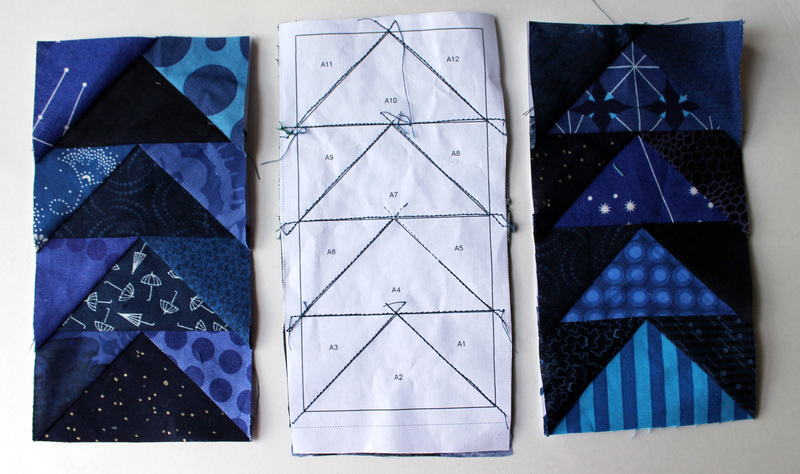 This weeks Paper Piecing Monday is all about the Night Sky. 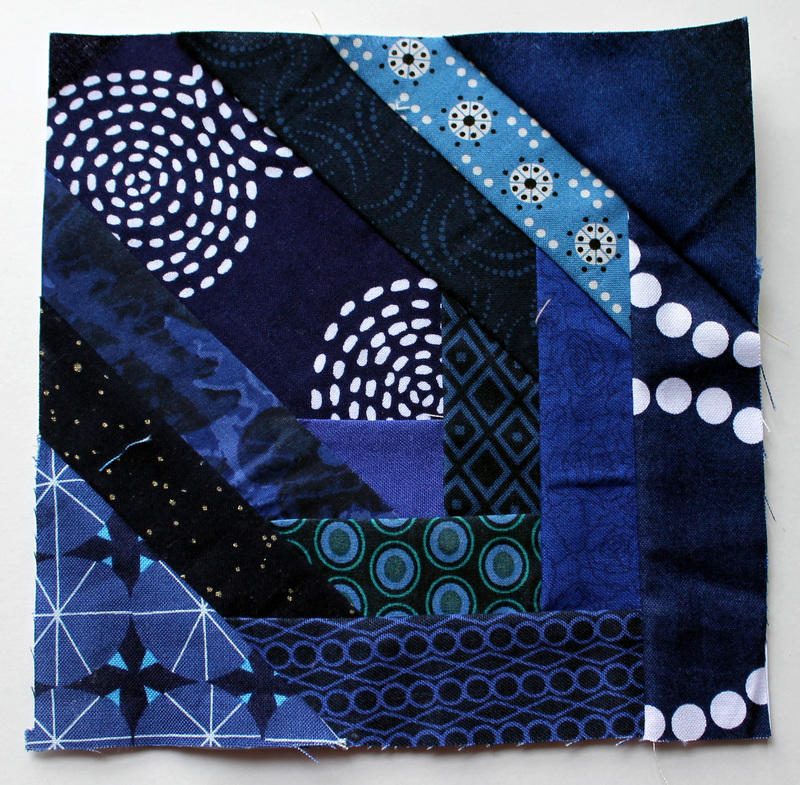 This week I have and will be playing with the background blocks for my Starry Night quilt. 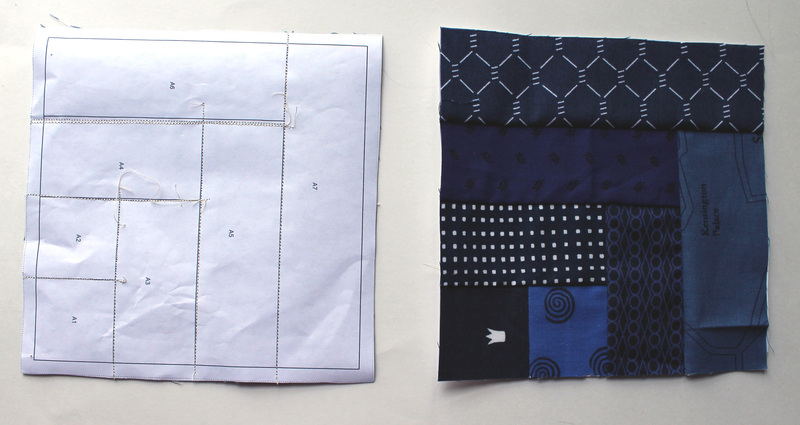 My strategy is to use all those scrap pieces of patterns I have printed and lying around the office, with most of them so far being 6 inches square. 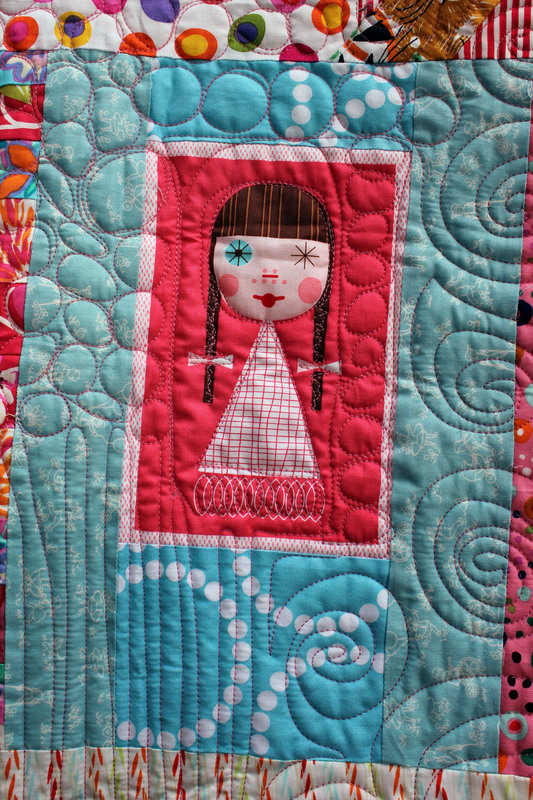 and this week I added some paper pieced crazy blocks…. 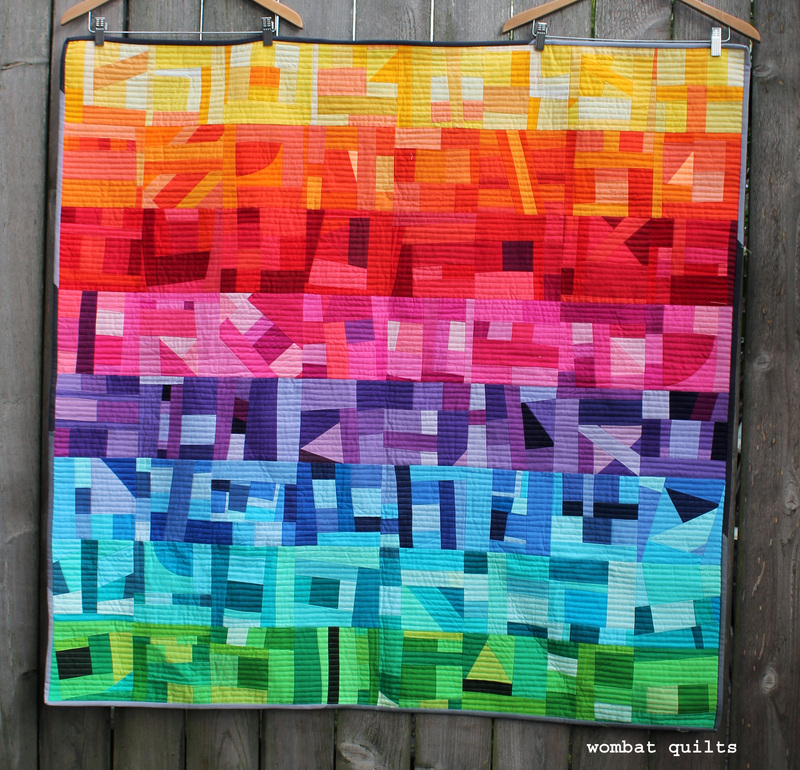 and of course there has to be some flying geese…. 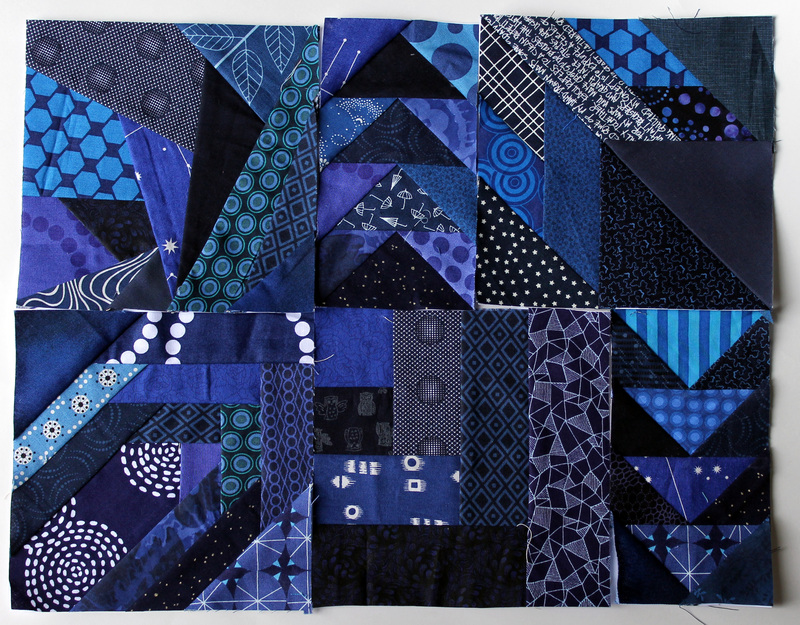 I have decided to go with the majority of the sky being paper pieced, as it will make piecing the quilt top together much easier. 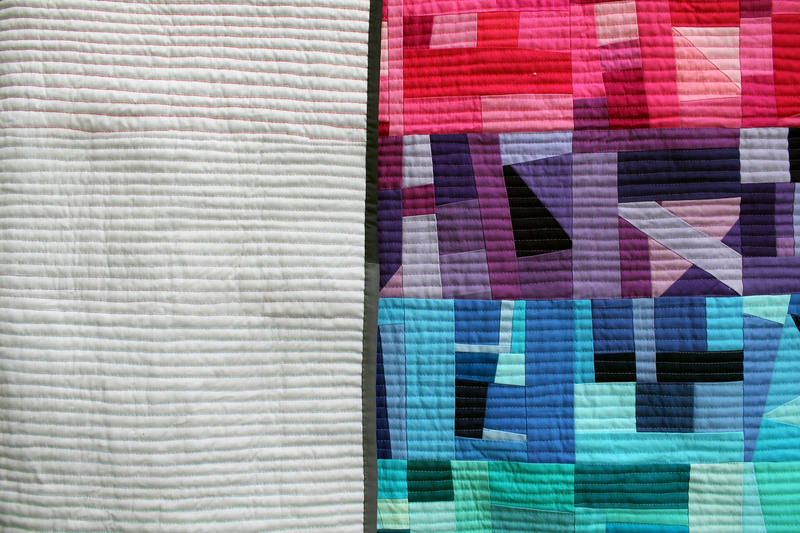 I find that piecing paper pieced blocks and traditionally pieced blocks together can be fraught with size issues and usually if there is a large enough amount of traditional piecing I remove the paper from my blocks so that everything is “paper less”. 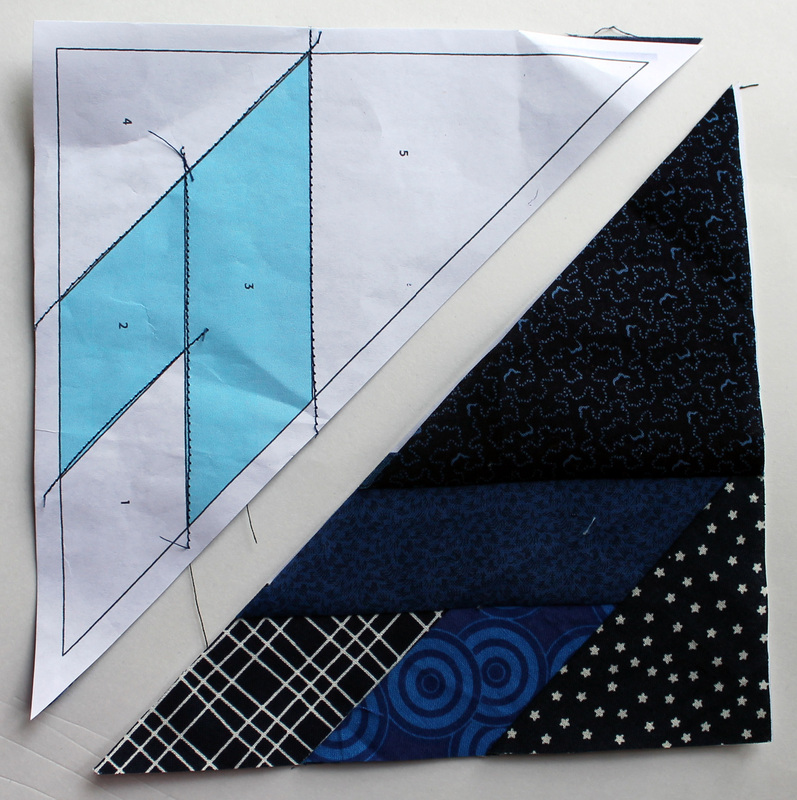 If I am just sashing blocks then the paper stays on… it is the best way to ensure accuracy. 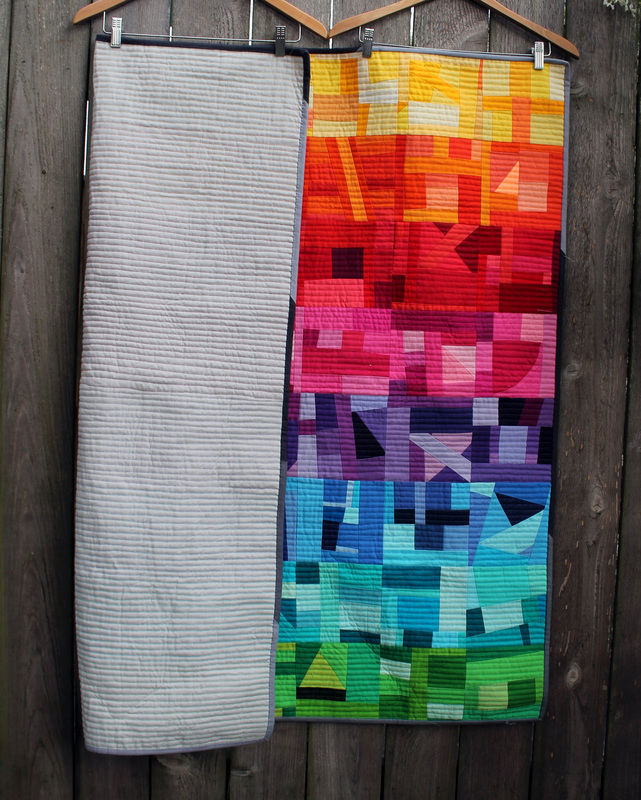 So the sky is underway… and despite the disparate style of blocks, they seem to work together well. 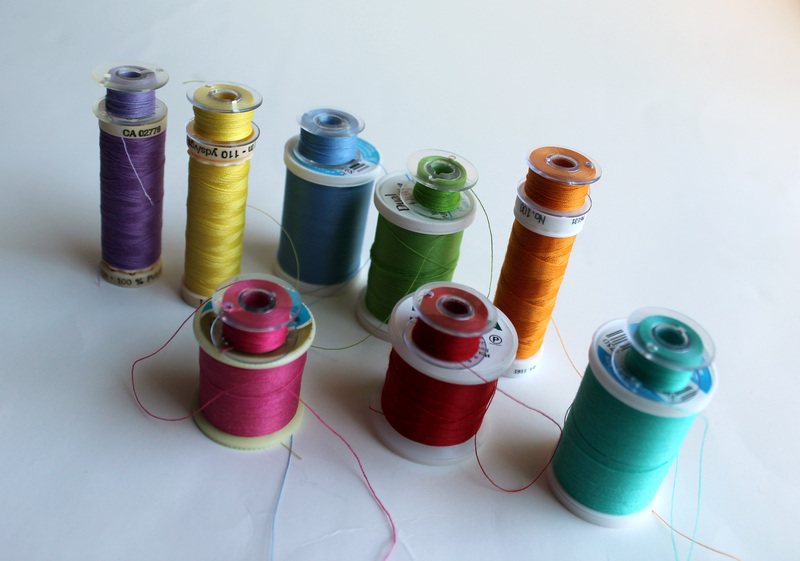 Okay I admit there is an insanity to this activity but it is kind of fun. 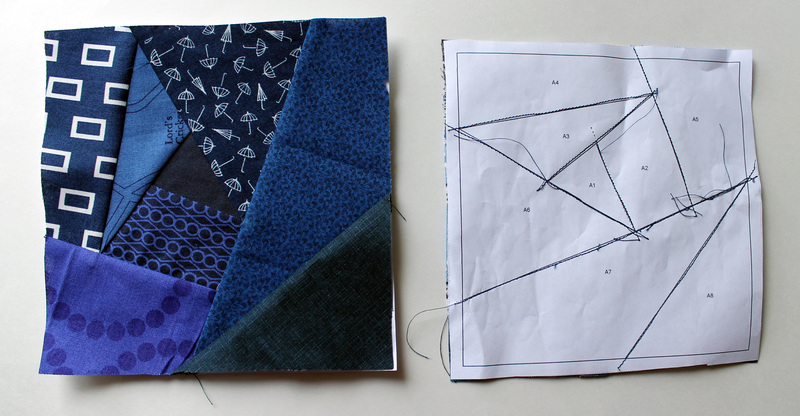 There is no right or wrong… just lots and lots of navy blue, and a smattering of purple. 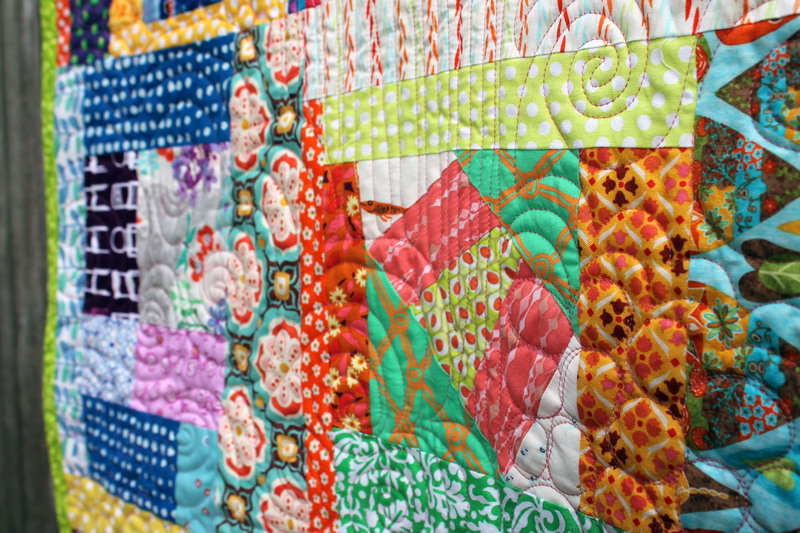 Quilting heaven for me.